The death rate due to Non-communicable Diseases is posing a tremendous challenge to the economy with deaths in a wide range group, between 30 – 70 years of age which is a real threat to the health of working age adults. The Ministry of Health is focusing on promoting movement and healthy eating, which are two critical steps towards reducing the risk of NCDs to create a healthier, happier nation. 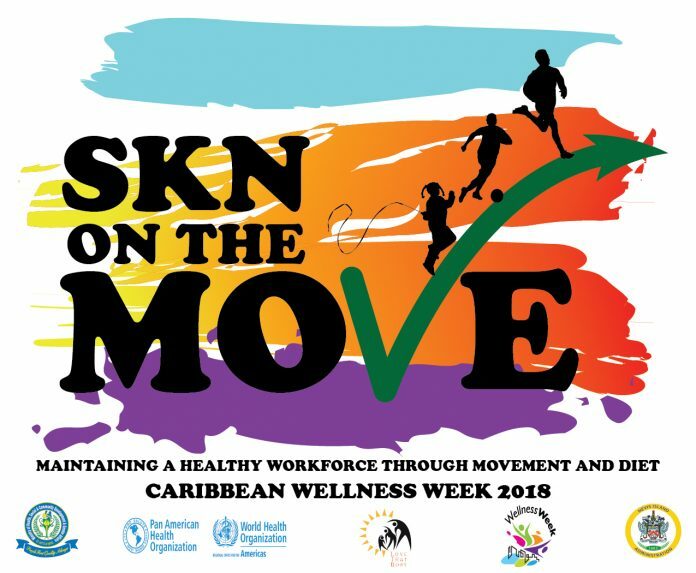 Activities taking place for this year’s Caribbean Wellness Week includes Caribbean Wellness Day Walk on Sept. 8 from 5:00am; Faith-Based Health Screening at local churches on Sept. 9; Health and Family Life Endurance Test being spearheaded by the Ministry of Education on Sept. 10; “Take 5” Nutrition Programme Campaign on Sept. 11; Day of Rest on Sept. 12; National Health and Wellness Fair on Sept. 13; and National Sneaker Day and Soca-cise workout at the St. Kitts Marriot on Sept. 14.